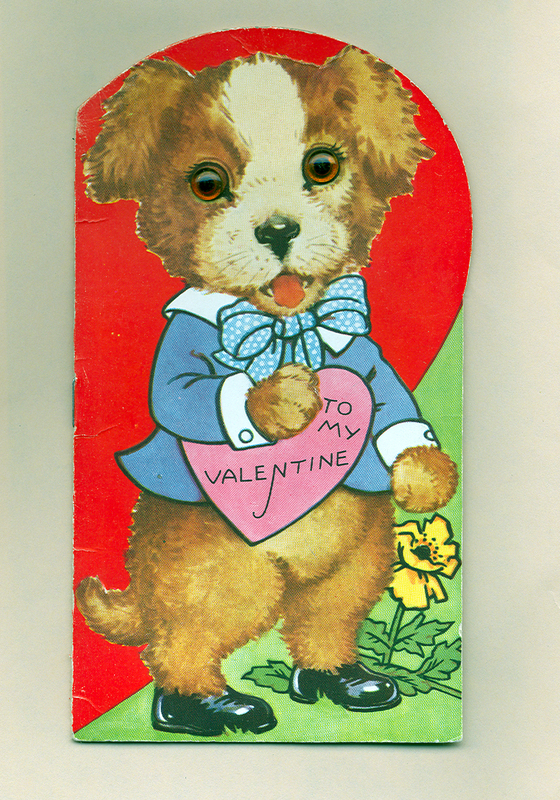 I found this unusual 1930s valentine at a toy show recently. 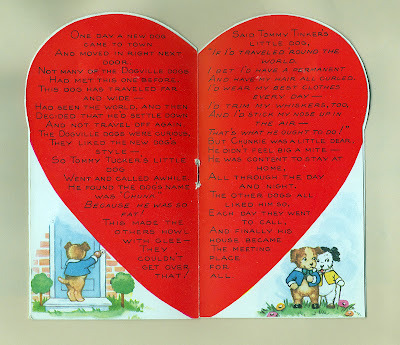 It's actually a booklet, with a story inside about a dog who moves to a town appropriately called Dogville. 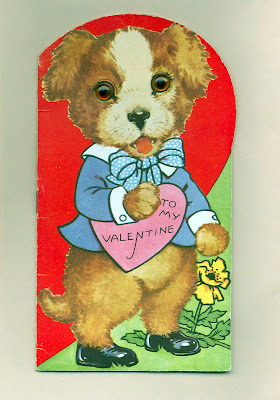 The outer cover features real glass eyes on the dog, very like those used on antique teddy bears at the time. 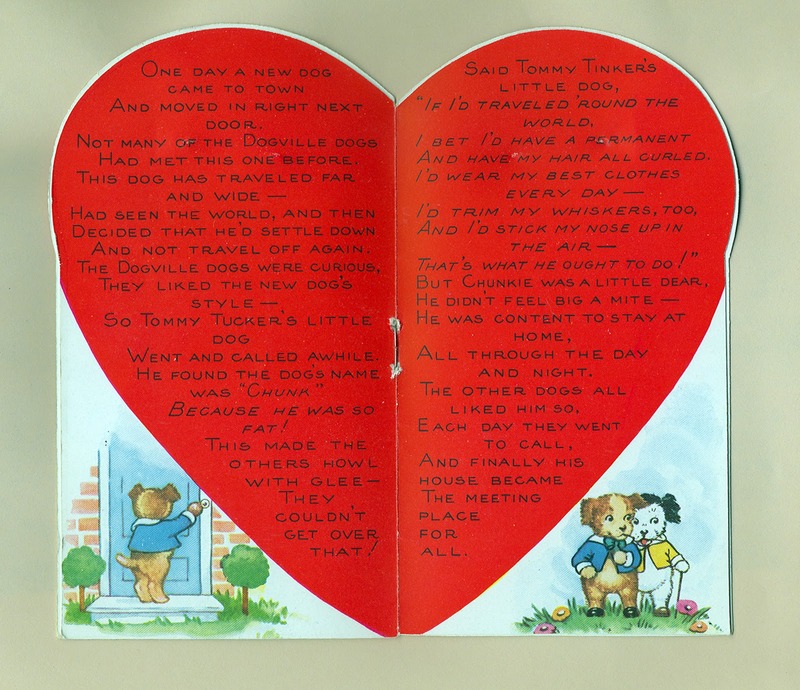 The booklet is 6 1/2 inches tall. Those glass eyes! I've never even sen anything like this.